I just came back from a forbidden country,. I am deliberately not mentioning its name to avoid undue trouble . I was sent there to perform surgeries and was there for a week. When I landed safely in India, not only me but my family and all those related to me breathed a sigh of relief. Yes I was back, safely in one piece. Whenever such experiences happen, I feel so safe in my own country. Homeland is like a mother in whose lap you can cuddle and forget all the worldly problems. India nurtures us like any other mother. It feeds us, keep us safe and provides with all the amenities one requires to lead a good life. I in turn serve my country by treating the sick. There are many ways by which we can serve our country. Joining the army, not wasting food, resources, keeping the surroundings clean are few of them. Here I am discussing about saving our resources. As you all know, fossil fuels like coal and petroleum have limited reserves. We are a country of 1.2 billion people. Our daily energy requirements are simply enormous. Its not that we are blessed with unlimited reserves of fossil fuels. We mine a very little portion of what we have; rest we have to import. A huge chunk of money goes into buying this. Secondly we are grossly dependent on others for the raw materials of power supply. Hence its high time we use what we have in abundance...wind power. India is a huge country with a very long coastline. We have high wind prone areas in the states of Orissa, Andhra, Tamil Nadu, Rajasthan, etc. The coastal areas which are so prone to cyclones can be put to good use. All we have to do is to set up windmills in all these places. 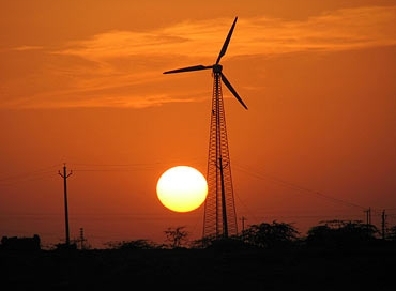 We already have been using wind energy to generate power in these areas; what we have to do is to do it extensively. Our power requirements can be fulfilled solely by renewable sources of energy like wind, hydel and solar energy reducing our dependence to fossil fuels to minimum. The best part? It is completely #GreenEnergy. It is absolutely free from pollution unlike the fossil fuel counterparts.